Playtime is a very important part of your cat’s daily life. No matter how old she is, she’ll benefit from having frequent opportunities to stalk, chase, pounce and capture. In an outdoor environment a cat would typically engage in about 12-20 hunting attempts. That doesn’t mean she’d successfully capture 20 mice, but she’d give it a good try. 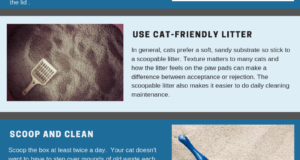 Even an indoor cat who has never ventured outside will greatly benefit from regular playtime. Every cat is an individual so you may have to experiment a bit when it comes to toy preference. The type of toys your cat enjoyed in her youth, for example, may not be as appealing if she’s now less mobile and has stiff joints. Some cats, no matter their age, have strong toy preferences and others don’t care at all as long as the toy is in motion and they have the chance to hunt. 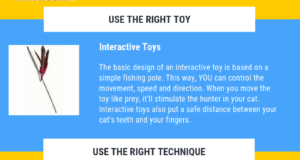 There are so many cat toys to choose from in the categories of both solo play toys and interactive toys. When shopping, keep your cat’s size, athletic ability, personality and texture preferences in mind. A small, timid cat, for example, may not want to play with a large kitty kick-bag toy because it may resemble more of an opponent than prey. 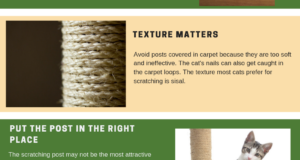 Your cat may have a texture preference and might prefer a soft toy she can sink her teeth into over a hard plastic toy. Sound also plays a part in whether your cat will enjoy or ignore the toy. A toy that contains a bell inside may detract from its appeal if you have a multicat home where one or more cats wear bells on their collars. A toy that makes a rustling sound may be very appealing as it resembles the sound of a chipmunk or mouse darting through the leaves. Some cats like toys that have feathers and others might prefer fur-covered ones. 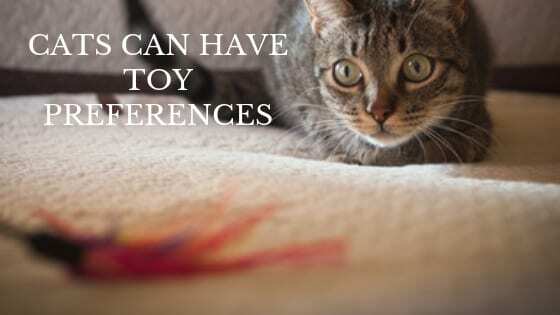 When it comes to your cat’s toy preference, take into account it’s not just her sense of sight or hearing but also her sense of touch that can influence whether a particular toy is a success or not. Next: How Appealing is Your Cat’s Water?